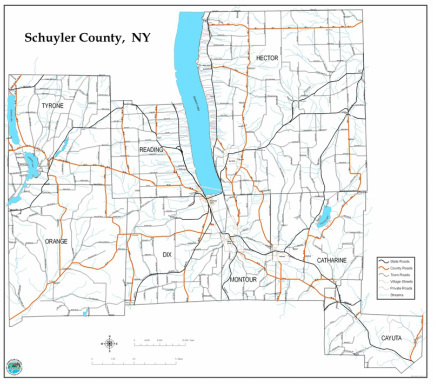 The Schuyler County Soil and Water Conservation District has been a leader in Geographic Information Systems (GIS) in the County since the mid-1990’s. 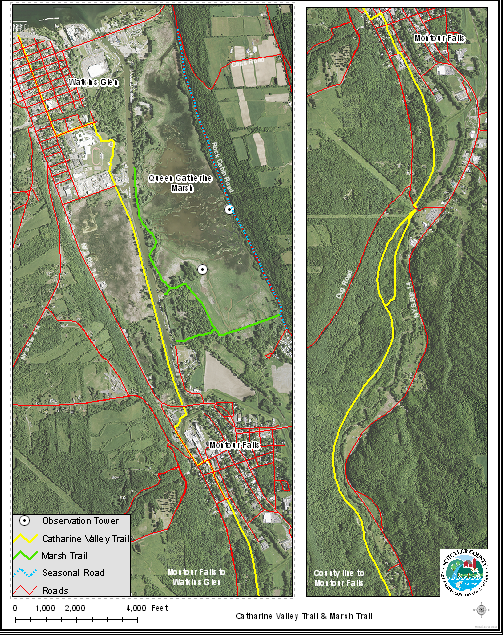 GIS is an important tool to visualize changes and activities in a watershed. 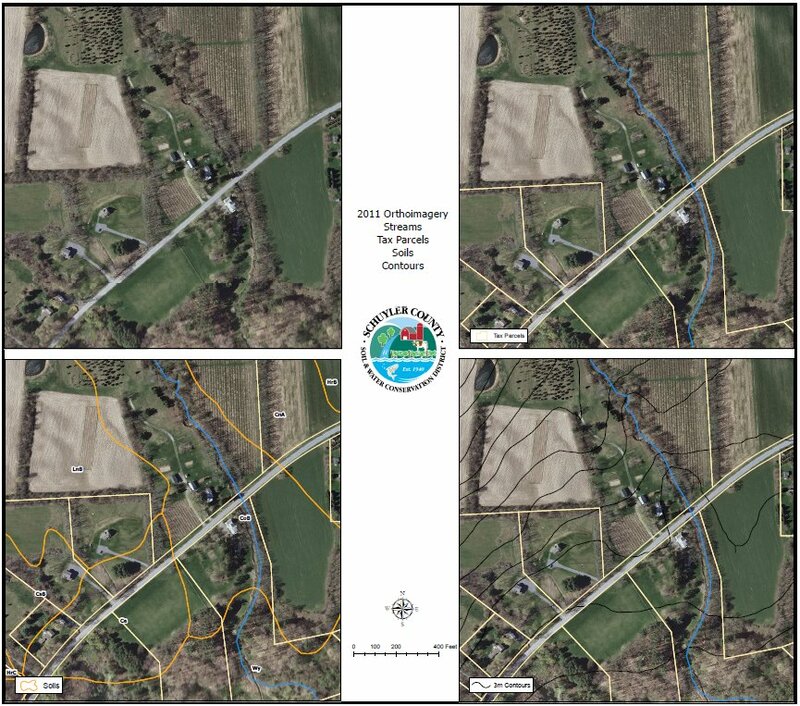 We use GIS on a daily basis to help with the development of conservation practices. Before we go into the field we view the area using our digital soils, wetlands, roads, streams, topography and other pertinent layers. 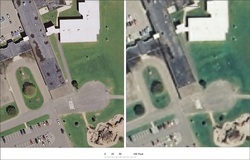 They provide a perspective of an area, both large and small. With the ability to create different scaled maps is an invaluable tool, enhancing our conservation planning and implementation. We have new 2015 aerial photos that are 6'' resolution as well as historical photos dated all the way back to 1938. If you are interested in getting a poster sized map made of your site please contact the office. We do charge for the print and the price varies depending on the size. We also offer lamination for an additional cost. Please call the office if you have any questions.